We all know we should check our credit reports because it gives an overview of our current and past credit accounts and informs us of our ability to obtain new credit. However, the report contains a lot of info that can be difficult to understand. Today we’re going to break this down into a handy guide so you know exactly what you’re looking at. Before we proceed, remember that you should check your report at least once a year to ensure all the information is correct and up to date. If it has errors or worse–you have been a victim of identity theft and someone has credit in your name—this can seriously impact your ability to obtain new credit and the interest rates charged on it. 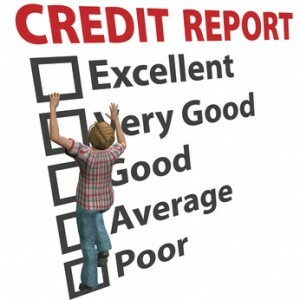 How Does Credit Report Really Matter To An Individual? What should we know about credit reports? This section includes all your basic personal/identity information and it is therefore very important for it to be accurate. You’ll see your name, social security, birth date, current and previous addresses, and often your employment information. Having the wrong or an outdated address on file is a fairly common error that can have a big impact because of mortgages attached to that address. You might also find public legal records in this section, such as bankruptcies, court judgments, liens, and wage garnishments, which can also play a big role in your credit-worthiness. However, after several years they will be removed from your report. This section makes up the bulk of your credit report and is an overview of all your credit accounts, including loans, credit cards, certain bill contracts, and other lines of credit. No matter where your credit is from, such as a $1,000 loan from the internet or an overdraft from the bank, it will be here. It will also tell you which, if any, accounts have been sent to a collection agency due to default or non-payment—which will greatly impact your overall score. This section will tell you when the account was opened and closed, the outstanding balance, the credit limit, and your payment history (including any time you were late paying). Accounts in bad-standing are usually listed separately from well-maintained accounts. Bad accounts will almost always have a negative effect on your credit score and will be listed there if you have missed payments, defaulted, or the debt has been passed on to a collection agency. An account might be listed here even if you are back on track, but struggled with payments in the past. Fortunately, these ‘black marks’ will be removed after 7 years from the three main credit bureaus (Experian, Equifax, and TransUnion), and TransUnion will even list the date of removal in advance. Charge-Off: A charged-off account is an account that was sent to a collection agency due to non or slow-payment. Even if you eventually settled the debt it is still classed as such for 7 years to warn other lenders that you haven’t been timely with payments. Charge-off itself just means the lender has written off the debt as a loss. Collection: A collection account is one that has been sent to a collection agency but hasn’t been charged-off. Revolving: This simply refers to accounts like credit cards or lines of credit where you don’t necessarily have to pay the balance off in full each month. As long as you pay the agreed minimum, this won’t affect your credit score. Installment: This refers to accounts that you are paying off in installments, which typically refers to loans with a fixed end date. Open: These types of account are one that requires you to pay the balance in full every month. This might include cell phone or internet contracts or business-style lines of credit. Soft: Sometimes called a soft search, this is when you check your own report or a third party service (other than the lender) goes through the pre-approval process. Hard: These are full-blown credit checks, usually carried out when you formally apply for a loan, credit card, or another form of credit. If you apply with too many lenders in a short amount of time it can negatively affect your credit score. This is the number used to summarize your overall credit-worthiness based on all of the information in your report. The higher the score the better, though not all agencies adhere to the same system. The most important aspects are your payment history (have you made payments on time? ), outstanding balances (how much you owe in total), length of credit history (i.e. when you first started borrowing money), credit variety (it’s better to have several different types of credit than all just credit cards), and new credit (whether you recently obtained a new credit account). FICO (which is what the big bureaus use) ranges between 300 (very poor) to 850 (excellent). With the above info, you should now be able to look at your credit report with an informed perspective. Your credit report is an overview of your credit history and current credit accounts. It also contains a credit score, which represents your credit-worthiness (i.e. your ability to obtain new credit). It is important to view your credit report regularly so you have an idea of the types of credit you can apply for. If you apply for a loan online, for example, and you have a low score, you will be rejected and this can further harm your score. Lenders will access the report as part of a credit check, so it is also important to check that all of the information is accurate and your score isn’t being affected by false data. Accessing your credit report can cost a fee if you use the most common agencies (Equifax, Experian, and TransUnion), but there are many ways to get it for free as well. Here are 5 of the most common ways of checking your credit report for free. An increasing number of credit card companies are offering regular free access to your credit report as one of their perks. This may be with any of the big three agencies. Usually, you won’t have unlimited access, but can log-in once a month or every few months to keep on top of things. If this option is available to you, it will be listed under the offers in your online credit card account. Credit Karma is one of several websites that allow you to access your credit report for free. This particular site lets you access either your TransUnion or Equifax report. All you have to do is register for a free account and follow their instructions. Sites like Credit Karma are able to provide the service for free by delivering you targeted ads and utilizing your personal data. They also offer a number of other free financial services. Similar sites include CreditSesame.com, Quizzle.com, and WalletHub.com. You may be unaware, but every US citizen is entitled to access their credit report from Equifax, Experian, and TransUnion once every 12 months. You can also do this once per agency, so in effect, you can access three free reports in a year. If you space these out, you might not need to use any other method. To claim your free reports, simply go to AnnualCreditReport.com and follow their instructions. Beware, however, each bureau may attempt to hook you into a subscription for unlimited access. If you will be actively seeking employment within 60 days. If you are a recipient of welfare. If you are a victim of identity theft and/or have learned that you have inaccurate information on your report. If you have been denied credit because of a credit check of your report, as well as being denied insurance and employment because of a credit check. You must make use of this option within 60 days of the rejection. In most cases, the company will provide you with information about the bureau they used to carry out the credit check, and it is them that you must access your report via. Additionally, there are several states with regulations that allow an extra chance to get a free report every year. These are Colorado, Georgia, Maine, Maryland, Massachusetts, New Jersey, Vermont, and the territory of Puerto Rico. You can do this directly via the big three credit bureaus. Furthermore, other states and territories have reduced fees for credit reports. The Virgin Islands mandates $1. Connecticut mandates $5 for the first credit report each year and then $7.50 thereafter. Minnesota mandates $3 for the first report each year, then $11.50. There are many sites out there that claim to offer free credit reports or a reduced price for accessing your report, but they will first ask for your credit card details. This is so they can sign you up for a subscription service of some kind. While this is not illegal and they will typically make it clear what you are signing up for, if you forget to cancel the subscription within 30 days you will be billed. There are many other better options for getting free access to your credit report. Almost every individual understands that his/her credit report is very important. Getting into the details and knowing how exactly and why they are important is crucial. The credit report of a person contains all the information related to their credit history which includes credit cards, loans, mortgages, any liens, judgments or even bankruptcy. Details of payment history, any debts owed etc. are all included in these reports. Banks, financiers, future employers, insurance companies, can all access the credit report of a person and decide the creditworthiness of him/her. This plays a major role in getting a loan, credit card or even a job or insurance policy. People with good credit scores are potential customers for banks. They are offered credit cards or loans without even applying for them. The situation for people with bad credit scores is exactly opposite as they are considered high risk by financers. Such individuals may have to struggle to get a loan or a credit card. One should understand that financial management is the key to good credit scores. A person who pays bills on time, uses a certain percentage of the credit limit on the card, does not have too many loans to repay usually has chances of good credit scores. It is never too late to improve those scores if they do not seem very good. The first step towards controlling the credit scores would be to check them on a regular basis, at least once a year. It is possible to check these reports either online or can be requested over the phone free of cost. Checking the credit reports of a person allows him/her to improve the scores and at the same gives access to check if there are any errors in it. These errors, when reported to the bureaus in time, can be rectified. Identity theft or fraud can be a major reason for errors in credit reports. One should always observe the credit card statement and bank account details carefully to check if there are any unknown charges. If yes, they should be reported to the bank and the credit bureaus immediately. This helps in placing a block on the card or the account and at the same time, the bureaus are alerted for any errors in the credit reports. It is important to work towards improving credit scores always. Apart from loans and credit cards with better interest rates and higher amounts of credit, good credit scores also play a major role in other financial areas such as insurance policies or even job hunting. Thus it is not an exaggeration to say that a person’s financial life revolves around the credit reports. When you are trying to improve your credit, it is very easy to start feeling discouraged. You may feel like you’ve dug yourself into a pretty large hole, and you may have no idea how to get it. When you have poor credit, sometimes it seems like only really big jumps will be able to get you to better credit. You may think that you have to come up with thousands of dollars all at once to pay off a large debt, etc. But for most people, that isn’t the case. In actuality, if they can find even just an extra $50 a month to put towards improving their credit, they will find that they can start working towards their goal of better credit much quicker and easier than they ever imagined. Get a second job. If you work just 10 extra hours a week you could bring in more than $50 a month. Lower your cell phone plan. Drop your data plan, textless, or call your parents on nights and weekends when the minutes are free. Even better, get a cheaper home phone option and use that instead. Drop your gym membership. Learn to work out at home or at the local rec center instead of spending so much money on your gym membership every month. During the spring, summer, and fall months run outside! Turn down your thermostat. Don’t turn your ac/heat up so high. Take shorter showers. Turn your lights off when you leave a room. Don’t stand in front of the refrigerator for 30 minutes figuring out what you want to snack on. These types of small changes can add up and save you quite a bit of money on your utility bills. Sell stuff. Go through your house and find all the extra stuff you haven’t used in years. Then jump on eBay and sell some of it! So now that we established the fact that, with a bit of creativity, you do in fact have the ability to earn an extra $50 a month, let’s move on to the next obvious question. Now you are probably thinking that sounds too good to be true. You are probably saying to yourself: “Is there really a way that just $50 a month can really help me improve my credit?” The answer to that question is, yes, absolutely. Even though $50 seems like a very small amount, especially when we are talking about improving your credit, when used wisely it actually can make a big difference. One reason why many people have poor credit in the first place is that they don’t make quite enough money, or they don’t use their money wisely enough, to be able to pay all of their bills. So if you are able to bring in an extra $50 a month (and make sure to set that money aside only for the paying of bills), then you can use that money to help you make sure to pay all of your credit card bills/loan payments on time. If you already have the income to pay your normal bills, then you can use that extra $50 a month towards something that could actually increase your credit score. One way you can do that is to use that extra income to work towards lowering your credit utilization. Your credit utilization is a very important factor when it comes to your credit, and it represents the amount of credit you are using compared to your available credit. So, it is what percentage you are using up of the credit that is currently available to you. Let’s say that, across all open lines of credit that you have available to you, you are using up 100% of that available credit (meaning that all of your credit cards are maxed out). This shows potential creditors that you don’t know how to properly manage credit that is available to you, so that brings your score down. So, if you can use your extra $50 income to pay down some of those balances, this will lower your credit utilization percentage, in turn increasing your credit scores. Another great way that you can use your extra $50 income each month is to hire a credit repair company to help you improve your credit. Most credit reports have errors on them. So, if you can hire a credit repair company to help you work to get some of those errors removed from your credit reports, this could be one of the best ways you can improve your credit. Lucky for you, most credit repair companies cost anywhere between $50-$100 a month, so you should be covered. Many individuals do not know how to read a credit bureau report. Credit bureau reports are usually plagued with numbers, terms and abbreviations the common person is not knowledgeable of. It is important to know how to read a credit bureau report. Credit bureau reports contain vital information which each person should look over each year. It includes financial health, mortgages, credit cards, defaults, vehicle loans, large transaction histories, and late payments, amongst many other things. Each credit report from the three main credit bureaus does not look the same. But it is important to acquire them in order to track your payments and ensure all the information is correct, especially if your identity, had or is being stolen and misused. Firstly, people should be aware of the anatomy of a credit report, what it contains and is made of. Credit reports are mostly divided into four sections. One for identifying personal information, another for credit history, the other for public records and the last for inquiries. Identifying personal information usually consists of information which identifies each person. It is not uncommon to have more than one spelling of a name and even a different social security number. These variations in information are usually left on credit reports because if they are changed they will break the link in information from whichever source they came from. Other information includes a date of birth, previous address, drivers license number, contact numbers, spouse and employer name, and other similar information. The credit history section consists of each account under each creditor. Each account is commonly referred to as trade lines. Each account will include the name of the creditor, the account number, which is normally scrambled in case of theft, credit information, the total amount of a loan, how much is owed, the status of the account and a history of repayment. The third section is assigned to public records and is better off blank. If this section contains any information that means you have a public record and that is not a great achievement. It lists any financial data including tax lines, judgments and bankruptcy statements. The last section is allotted for inquiries which list any agency that has ever asked to view your credit report. This section is further divided into two sections, Hard and Soft. Hard inquiries are those that have been initiated by you when submitting to a credit card application and similar circumstances. Soft inquiries are those that have been requested by companies who send out promotional information or from a creditor who is keeping an eye on the account. These are the four main sections of a credit bureau report. 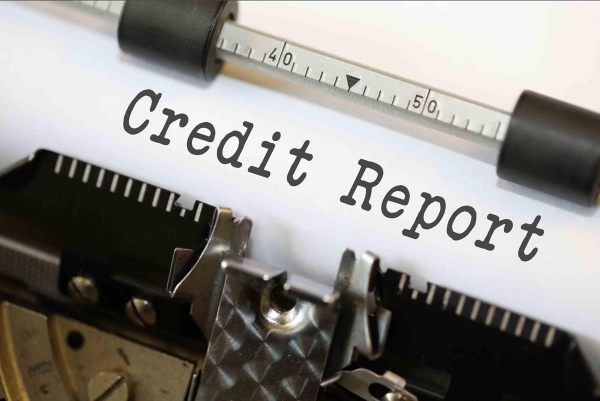 If there is any mistake on a credit report it is important to follow the instructions of an explanatory sheet which normally comes with the report. This process may take longer than a month as creditors do not have to respond to an issue of a discrepancy earlier than 30 days. There are many lenders who state discrepancies are normal and almost 80 percent of credit reports have some kind of misinformation. So, there you have it! Follow the above steps and you will almost always be able to get free access to your credit report and keep on top of your credit score and data. Got any questions or know of other ways to get free access? Let us know in the comments below!